Some statements repeatedly find their way into public discourse. People hardly verify them, and no one questions them. In Nigeria, “70% of Nigeria’s government revenue comes from oil” is one of such statements. How true is that? To investigate, I looked at Nigeria’s revenue from the start of the current decade. Considering Nigeria’s loose federalism, it would be incorrect to only consider Federal Government (FG) revenue as Nigeria’s revenue. Many people make this mistake when comparing countries with Nigeria. So, I added the Internally Generated Revenue (IGR) of the states and local governments, using data from BudgIT and the Central Bank of Nigeria. In nominal terms, Nigeria’s total revenue slipped from ₦11.34 trillion in 2011 to ₦8.15 trillion in 2017. Adjusting for exchange rates, revenue has shrunk from $72.75 billion in 2011 to $26.66 billion in 2017, a whopping 63% decline. Despite a naira devaluation in 2016 that should have boosted oil revenues (oil is sold in dollars), lower-for-longer oil prices have not helped. A Bloomberg op-ed suggested that oil prices are now controlled by three men—King Salman, Vladimir Putin, and Donald Trump, such is the fate of Nigeria. Oil prices may have found a short-term equilibrium of $60 per barrel, a level Putin stated satisfies him. Oil is no longer Nigeria’s saviour. In my datasheet, it is clear that any increases in non-oil revenues up to 2017 have been weak, and primarily driven by rising Value Added Tax (VAT) receipts. Other non-oil revenue sources—company income taxes and customs levies—have remained at 2014 levels. One might casually accept that even the “non-oil revenue” classification might not tell the full story. As oil price and production swings have been critical to Nigeria's economic growth, foreign reserves and currency stability, non-oil revenue growth has also been strongly influenced by oil. It is evident that when oil revenue declined in 2016 due to the oil price slump, the growth of non-oil revenue marginally reversed. We see this in the change in Company Income Tax revenue—₦1.2 trillion in 2014, ₦1.0 trillion in 2015, ₦0.9 trillion in 2016, and back to ₦1.2 trillion in 2017. How about the states? While most states have grown their IGR, Lagos alone is responsible for 25% of growth in states’ cumulative IGR between 2011 and 2017, and only 7 of 36 states (Lagos, Ogun, Rivers, Delta, Kano, Kaduna, Enugu) account for 70% of nominal growth in subnational IGR in Nigeria. Enduring poverty, short-termism, absent single identity systems and poor incentives due to the central distribution of revenues have weakened states’ ability to collect taxes in the country. In the near term, Nigeria is probably looking at ₦5 trillion in gross oil revenues. 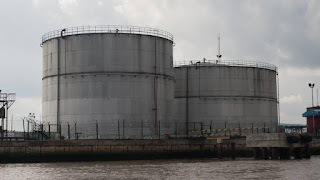 Once we account for joint venture deductions, 13% derivations, etc., net oil revenue available for sharing would be under ₦4 trillion, which means that the Federal Government (52.68% share) might not be scratching much more than ₦2 trillion in oil revenues. With a proposed increase in minimum wage, university lecturers also demanding more, and the rise in police personnel costs, ₦2 trillion would not be enough to cover FG personnel costs for a year. The only reasonable option is to find new growth poles that can increase the non-oil tax take, but there must be effective wealth creation through productivity before it is taxable. Nigeria can also accept that its expenditure is currently too high for its budget. It must cut waste such as fuel subsidies that consumed ₦800 billion in the first half of 2018 and accept that VAT of 5% is too low (and corporation tax of 30% may be too high). Add rising debt servicing costs, service wide payments and statutory transfers, and the federal government’s recurrent bill cannot be less than ₦4.5 trillion. With total FG non-oil revenues (including independent revenues from government agencies) below ₦1.5 trillion (₦1.2 trillion in 2017), the FG would have a gap of at least ₦1 trillion for its everyday expenses. In essence, Nigeria would have to keep borrowing to fund capital projects and recurrent expenses. Many states are even worse off as the current Federation framework does not incentivise growth of internally generated revenues. However, Nigeria seems to be favouring other unreasonable options. One of which is gorging on Eurobonds—the FG has borrowed nearly $10 billion in two years—to pile up its external reserves and defend the naira. It can also sell assets such as part of its stake on oil Joint Ventures, but these would be one-off. Or it can continue to bank on the CBN to cover deficit (there is an unaccounted ₦1 trillion deficit from 2017 spending). Or it could keep milking oil by ramping up production from about 2 million barrels a day to 2.5 million barrels a day and even leverage a currency devaluation to bloat oil receipts. In the long-run, these would all be missteps that fail to solve the real issue. Nigeria must face the reality that its spending plans have outstripped what oil revenues can support, given our domestic production capacity and the international oil market outlook. The only way to reform is to look away from oil and explore how to raise productivity, improve ease doing of business, and build a business case to attract foreign capital. Even Moody’s, an internationally recognised credit ratings agency, explained that Nigeria would be appraised on how expands its non-oil revenue base. This will take time, a luxury that the four-year thinking of current democratic systems may not allow, and will require a wholesale restructuring of the country, which the administration pays scant attention to and the opposition has not defined in detail. Currently, Nigerian leaders are trying to appease every class with spending on social welfare, increases in wages, and higher capital spending, but we need to ask: where will the money come from? This might not be pleasing to tell during an election but whoever wins, it is essential for them to know: Nigeria is going broke as oil contribution to Nigeria’s revenue has effectively declined to 50%. Nigeria’s revenue-to-GDP is down to 7%, and its tax-to-GDP is less than 5%. It is clear that the rent-seeking framework of oil would no longer work; Nigeria has to sweat its resources—human and physical and carve another narrative beyond oil to face the future that beckons. However, every day with the current government still rehashing old tales of how they were unfortunate not to be around when oil prices were high, it seems Nigeria is waiting for another miracle rather than rolling up their sleeves and doing the hard work required.